Effective July 1, Bowl Square is changing its name to K-Kitchen. The menu will retain all customer favorites adding an expanded and changing seasonal menu options. 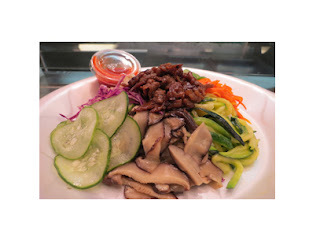 Come celebrate the launch and treat yourself to July specials Green Rice Bowl or Bibimbap (as it is called in Korea). The Green Rice Bowl includes rice infused with more than eight seasonal vegetables in a Korean Red Sauce. Personalize your bowl by adding beef or chicken (no up-charge! ).